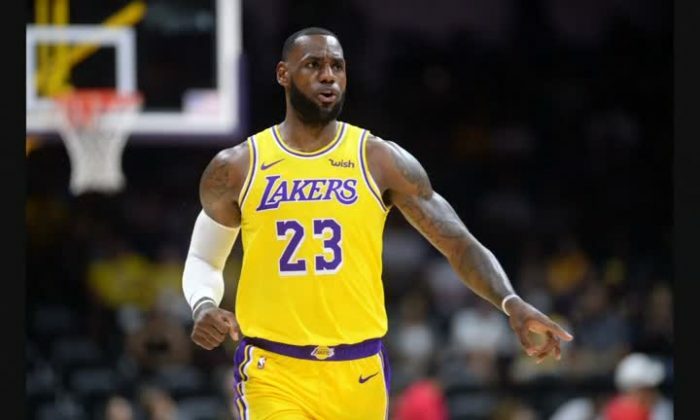 Los Angeles Lakers star LeBron James apologized on Dec. 23 for a post on his Instagram page quoting song lyrics about “Jewish money” over the weekend. The line comes from a song by rapper 21 Savage. “Apologies, for sure, if I offended anyone. That’s not why I chose to share that lyric. I always [post lyrics]. That’s what I do. I ride in my car, I listen to great music and that was the byproduct of it,” James told ESPN. The National Basketball Association (NBA) later accepted LeBron James’ apology for the post and will not impose a penalty on the player, a source told ESPN. LeBron James has deleted the post from his Instagram account named @KingJames, which has about 46 million followers. The show features several stars from the sports and entertainment fields, with a series of discussions and debates in various barbershops around the country, according to IMDB. When talking about the national anthem protests in the last episode, James said, “In the NFL they got a bunch of old white men owning teams, and they got that slave mentality,” reported Fox. James also praised the NBA for being more tolerant than the NFL over controversial topics. “The difference between the NBA and the NFL: the NBA is what we believe [a player] can be, the potential. In the NFL, it’s what can you do for me this Sunday or this Monday or this Thursday. And if you ain’t it, we moving on,” James added. However, the show has not been universally appreciated by audience members. It's not often that someone gets the best of LeBron. Even for one play.